Lilliputiens Anaïs grab rattle, lovely flamingo cuddle. Large choice Lilliputiens cuddles at Grote Schatten. This Lilliputiens flamingo Anais the grab rattle, has all kinds of nice toys wrapped around her. Let your little one go on discovery and in this way stimulate fine motor skills. Anais the pink flamingo has rings around the neck where your little one can chew to till its heart's is content. Tring tring does the bell and her skirt crackle around. A mirror , let your child discover himself! 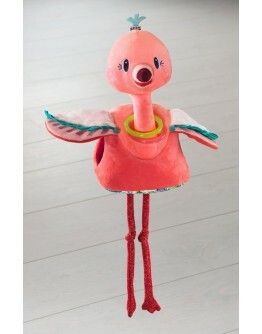 With this baby hug flamingo by Lilliputiens your baby will not get bored! 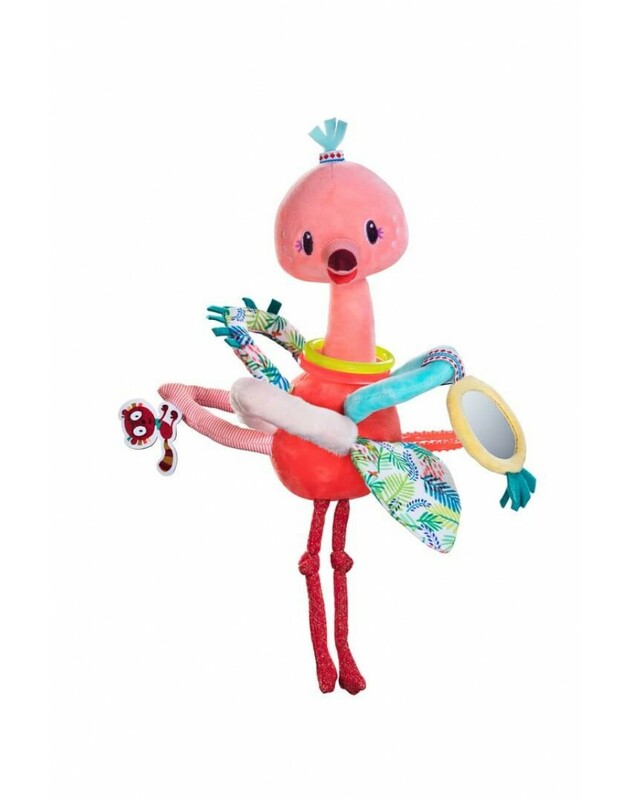 This flamingo Anais has several toys in the range that fit together nicely like the hug Anais and her babies from Lilliputiens. Discover them all at Great Treasures online. THIS LILLIPUTIENS ANAIS GRAB RATTLE IS A SOFT CUDDLE WITH LOTS OF TOYS TO DISCOVER. WITH THIS FLAMINGO TOY YOUR CHILD WILL SCORE FOR SURE!